Why does the RACV support this folly? From Brendan Gleeson, professor of urban policy studies and director of the Melbourne Sustainable Society Institute at Melbourne University. An international urban consensus now regards massive road building as massive folly: not on moral grounds, but because it simply doesn’t work. And the east-west link scorns the urgent need to decarbonise our cities in the face of a species emergency, global warming. Other cities and nations will judge us severely for building this smog factory in a time of planetary crisis. The link’s damage will extend far beyond Melbourne. It will harm the entire state by reducing resources for public investment for many years. The first stage will cost at least $6 billion. The full project cost will be much more. Tony Abbott’s impetuous promise to throw $1.5 billion ”into the kitty” won’t do much about the long-term impact of the project on state finances. As the late planning academic Paul Mees pointed out, the east-west link will rob us of the capacity to invest in health and schools, and much else besides, right at the time when this spending is needed most. Melbourne’s population is expanding explosively, urged on by growth lobbies, but little provision is being made for the infrastructure needed to support this. 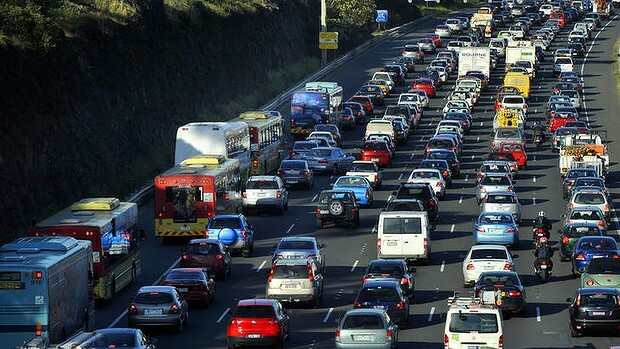 The Victorian Auditor-General recently chastised the state government, and its predecessors, for failing to supply essential infrastructure and services, especially public transport, in the outer suburbs that are bearing the burden of growth. In this light the east-west link is an ill-considered distortion of government priority at a time when Melbourne’s suburbs are crying out for basic infrastructure. There are many other reasons to be alarmed about the link: the swath of destruction it will cut through our cherished inner city, especially the brutalisation of Royal Park; there is the woeful secrecy that has enveloped the business case that apparently supports it; and add the usual folly of private financing which, as The Age’s Kenneth Davidson points out, almost always means terrible deals for the taxpayer. The project has risk written all over it. Will the east-west link be the next desalination plant? But perhaps the greatest concern is the way the project contradicts the well-polled desire of Victorians to see public transport improvement prioritised over further massive road building. The state of Melbourne’s public transport is an acknowledged ”game changer” at Victorian elections. So why is public sentiment ignored with the east-west link proposal? Clearly many of the public agencies that advise government on planning and transport policy exist in a parallel universe. In this strange world the dire consequences of global warming, car dependency, and local amenity destruction can be ignored. Another part of the answer might be the distorting influence of lobbies that continue to subscribe to urban development models that have so patently run their course. Especially models that favour the car as the dominant means of transport. The influential German sociologist, Ulrich Beck, speaks of ”zombie institutions” that continue to push the causes of a dangerously failing industrial order. The cheer squad for the east-west link seems to reflect this depiction. Victoria’s largest member organisation, the RACV (of which I am a loyal member), supports the east-west link. Or at least its management does. And yet the evidence suggests that RACV member views do not accord with the corporate position. The organisation’s own surveys show that its membership prioritises improvement to public transport over further road investment. So what authorises the RACV’s corporate support for the east-west link? The RACV’s 2 million members amount to a very large chunk of the state’s population of 5.6 million. Many, even most, of them are surely regular public transport users and thus, like most Victorians, strongly favour investment in rail, tram and bus services. And why would the country membership support a long-term commitment of state funds to an inner-Melbourne project when transport in the regions is so dire? These questions should be debated in our largest member organisation. The good news is that the RACV stands on the cusp of an exciting change. Victorians are moving away from the car, but not from roads necessarily – and the organisation should move with them. Look at the stats. We are driving less, cycling more, trying harder to use our underfunded public transport, and our kids are not taking up car licences like we oldies did. A historic opportunity exists to turn the RACV into a road users’ association that represents us all: drivers, bus users, cyclists and pedestrians. A road users’ organisation of this sort would oppose the east-west link. Yes, we have a problem with congestion. But freeways are not the solution. Precisely. This is what people far from the project, across the state, ought to be made aware of. It will mean finances for projects servicing their areas in the outer suburbs, country towns and rural areas just won’t be there for many years. Local schools, health, roads and public transport in distant communities will be deferred or could even be cancelled. And if the East-West tunnel turns into a financial white elephant like the PPP tunnels in Sydney and Brisbane, it will be a huge drain on the state’s coffers for decades. We have to get this message out there to those communities, LOUD AND CLEAR. We need a revolt from communities across this state.